Infused with Syrian embroidery patterns, this classic green scarf is handcrafted by a Syrian woman refugee living in the Chatila camp in Lebanon. 100% of profits goes to her and the camp community. We hope this scarf can be your window into the souls of the people involved in the refugee crisis: To feel to their story, to experience the warmth of the Syrian smile, and to understand that refugees share similar aspirations as we do. 100% Turkish wool-blend (acrylic, wool) yarn. Cotton embroidered threads, sourced in Lebanon. Made in Chatila refugee camp, Lebanon. The Syrian woman refugee who makes your scarf receives 50% of the profits from your sale. Also available in Red and Merlot Ribbed-Textures. This scarf was handcrafted by a Syrian women refugee in the Chatila refugee camp of Lebanon. Many Syrian women grew up learning how to craft, embroider and knit, precious skills that were passed down from their mothers and grandmothers back home. Crafted in the colors of the Syrian flag, and infused with traditional Syrian embroidery, each scarf is a symbol of home. 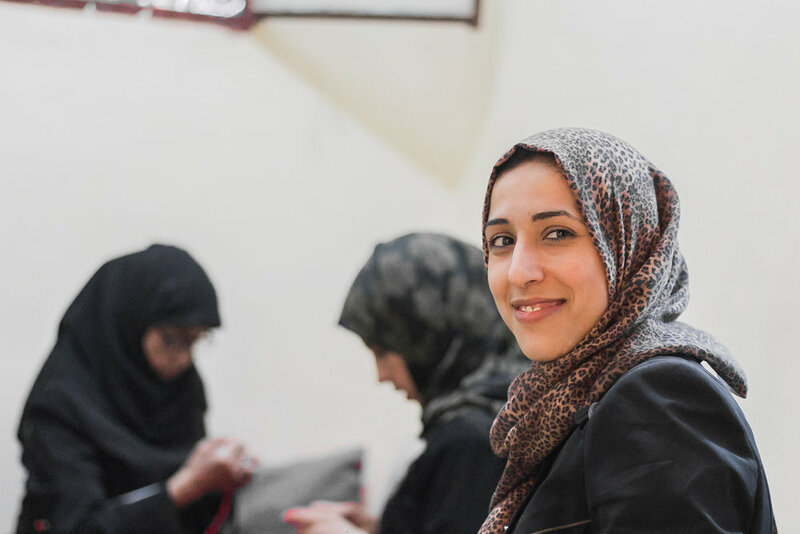 The Threads Of Syria project is designed to be handed the women to run independently moving forward, empowering them to take control of their futures by leveraging their skills and connecting them with people like you. Learn more here.